A fresh pot of coffee was brewed. 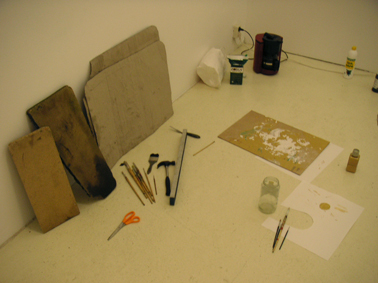 A piece of wood which was found outside the gallery was taken inside. 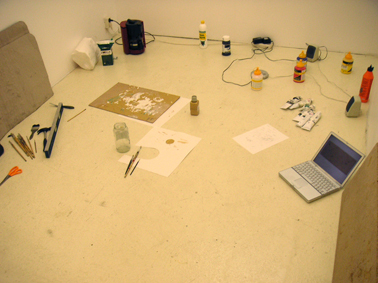 A portable CD-player and a pair of small speakers were placed on the floor among the jars of paint in the inner gallery space. The song "Radiating your Memory" was played on the CD-player. 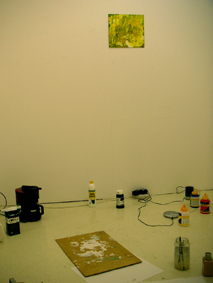 The laptop computer was again placed next to the sheet of wood upon which the coffee-painting had been done, and again the photographic images of the paintings fading process was displayed. 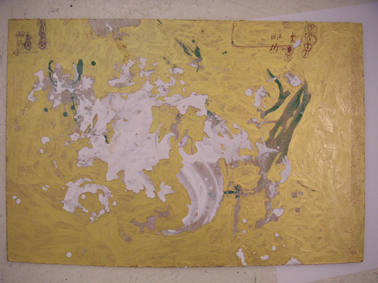 The painting of the sheet of plywood with the gold acrylic paint was finished. 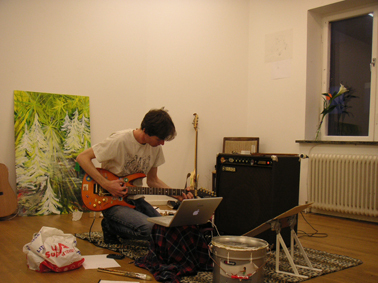 Recording of a new song was started with drums, two guitar tracks and a bass guitar track.